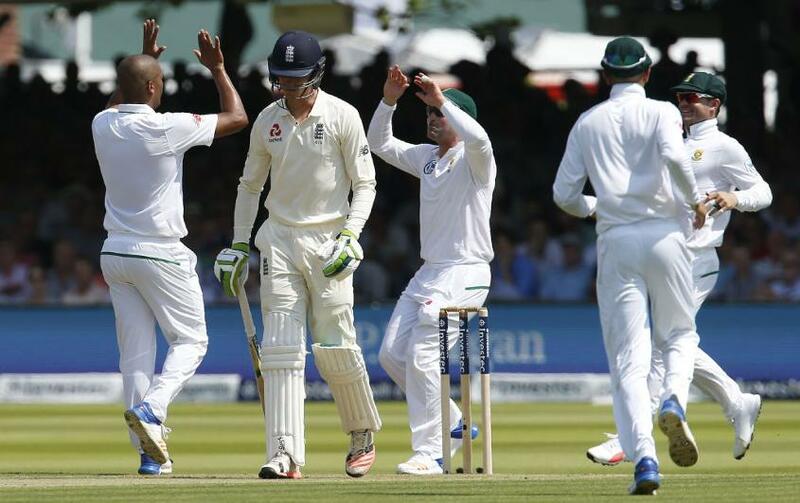 England opener Keaton Jennings says the intense scrutiny he received during his poor run of form made him feel "like a goldfish in a bowl". The Durham batsman endured tough outings against Pakistan and India in England this summer but scored 146 not out in England’s second innings in the first Test against Sri Lanka in Galle today. It was his first Test century in 22 innings, having passed fifty just once since his ton on debut. The 26-year-old lost his place in the side after averaging just 15.87 against South Africa the following summer and was overlooked for the Ashes tour last winter. The South Africa-born batsman was given a reprieve this year, serving as Alastair Cook’s final Test partner before accompanying Surrey's Rory Burns at the top for England in Galle. "At times you feel incredible heat being around the Test environment," he told BBC Radio 5 Live. "You feel like the world is on top of you. That's the intensity you feel. "It is very satisfying to score a hundred. To keep sane and continue to back yourself is key. I look at guys like Joe Root, Alastair Cook, guys who do it for such a long period of time. You have to bluff yourself that you're still a really good player. To come out and do it again and again is what you need as an international cricketer. "It is like being a goldfish in a bowl at times, you are floating around with people poking you to do things and just watching you. "At the back end of last year I woke up and was panicking over what pot of coffee to put on, that's the intensity. There is nothing there but it's in your mind, you create an atmosphere of tension. I have tried to find a lot of happiness outside of cricket, keep that balance emotionally." Jennings, who faced 280 deliveries during his timely knock that left the tourists well-placed to go 1-0 up in the series, spoke in more detail about his innings in Galle to Sky Sports. "It's been a very special day for me personally and it's special to be in such a good position in this Test match, hopefully we can go on and win it,” he added. "It was about taking the risks at the right time, it felt like there was a ball in there that could get you out so it was that cat and mouse game again, trying to get off strike, trying to put pressure on the bowler in order to get that bad ball. "It's tough but when you bat with a guy like Stokesy (Ben Stokes) – his aura, the way he hits the ball and the way he goes about playing – it is made easier. Then Jos [Buttler] walks in and belts it all over the place as well, so it's just a really, really pleasing day from a team perspective."